3 Bedroom Semi Detached House For Sale in Stockport for Offers Over £200,000. 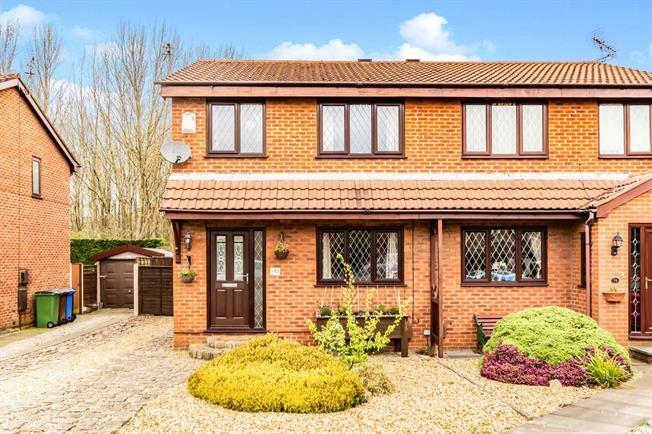 Offering immaculate and spacious accommodation is this wonderful three bedroom semi-detached family home, internally comprising in brief of; vestibule, good-sized family lounge, modern looking kitchen-diner leading onto a bright conservatory. Upstairs the property has two double bedrooms and a third single. Also a modern family bathroom. Externally the property is garden-fronted, has ample off road parking and a spacious enclosed garden to rear with garage.